Two University of Maryland (UMD) aerospace engineering student teams have been selected as finalists in NASA's 2017 BIG Ideas Challenge. Out of 29 submissions, UMD's "SMo-FLaKE" and "Terrapin SEP Space Tug," rounded out the five selected teams representing six universities that will go on to compete at NASA Langley February 15-16, 2017. 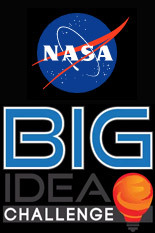 According to the competition's website, "The Breakthrough, Innovative and Game-changing (BIG) Idea challenge is an initiative supporting NASA’s Game Changing Development Program (GCD) efforts to rapidly mature innovative/high impact capabilities and technologies for infusion in a broad array of future NASA missions. This year's GCD-sponsored engineering design competition seeks innovative ideas from the academic community for in-space assembly of spacecraft – particularly tugs, propelled by solar electric propulsion (SEP), that transfer payloads for low earth orbit (LEO) to a lunar distant retrograde orbit (LDRO). Reuse of the SEP tug provides a cost-efficient method of transferring payloads between LEO-to-LDRO, LDRO-to-LEO, and for transit to deep-space locations such as Mars." All members of the TSST team are graduate students in the Department of Aerospace Engineering's graduate course ENAE 788D, Advanced Principles of Space Systems Design. All students on the SMo-FLaKE team are seniors in the Department of Aerospace Engineering's ENAE 483, Principles of Space Systems Design course. To reach this point, the UMD teams each had to submit a 10-page paper with design details of a 200 kW modular space-assembled tug vehicle using solar-electric propulsion, along with a two-minute video. During February's event, held at NASA's Langley Research Center, the teams will present their final concepts to a panel of NASA experts and compete with fellow students from the University of Colorado, Tulane University, Georgia Tech, University of Texas (Austin) and New York University. Members of the winning team may have the opportunity to receive summer 2017 internships at NASA Langley in Hampton, Va.